Garnishes add a flavorful aesthetic while elevating the experience of a finely crafted cocktail. Most cocktails call for a garnish, as they add a flavorful aesthetic while elevating the experience of a finely crafted cocktail for its audience. In the world of mixology, there are three main subsets of garnishes with several variations that evolved from them. 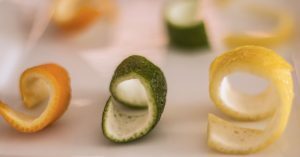 The primary three types of garnishes are citrus, sweet, and savory. While all three have a distinct taste profile suitable for any cocktail, they all have one thing in common: color. 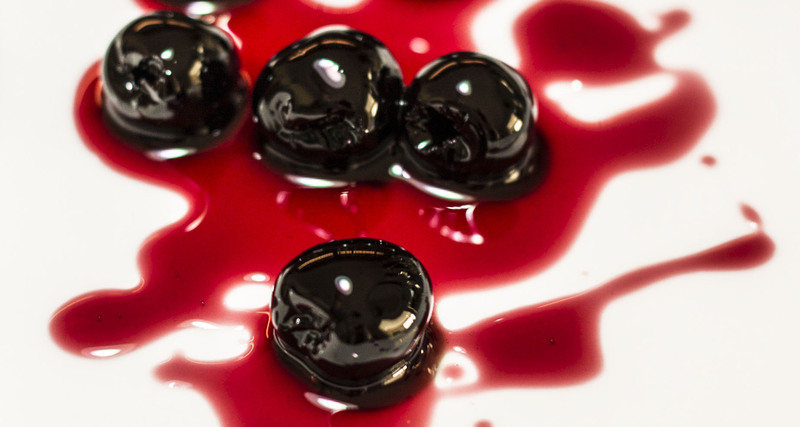 Whether it’s the scarlet red of cherries or the green of olives, each sets a unique tone for drink. Though each brings color to the stage, they all vary in taste, which greatly impacts your cocktail. 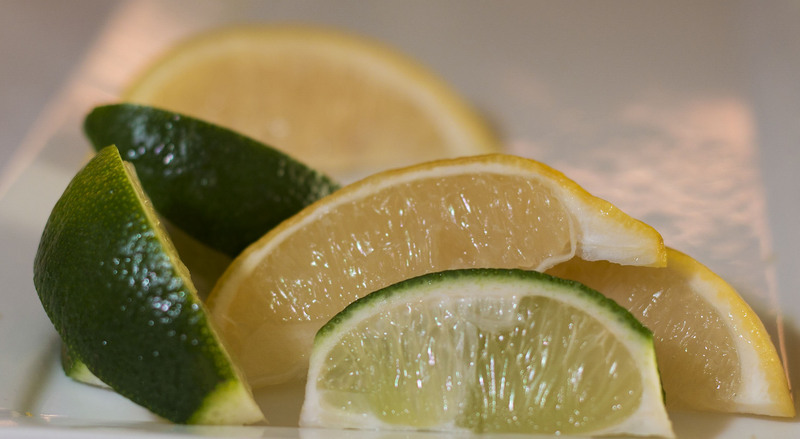 Citrus garnishes bring an aroma, oil, and unforgettable sour flavor. Sweet garnishes bring the perfect amount of sugary goodness, while savory garnishes give just enough saltiness. Garnishes are key in getting to know your cocktail. Now, let’s get specific. For those looking to dress their drink in citrus, we recommend the element of the twist. A thin piece of citrus zest twisted over a cocktail doesn’t just bring the style, but also a subtle flavor as the oils release an added flavor into the cocktail. Be sure to only use the aromatic zest, not the bitter white pith that lies underneath the skin. The traditional method suggests that you hold the zest, peel side down about an inch of two above the drink and then twist each end in the opposite direction. This wringing motion allows the citrus oils to be exposed and drop on to the beverage’s surface. For the one-handed technique, it is imperative that you curve the twist between your thumb and forefinger, peel side down, and both squeeze and pinch to release the oils. Following this twisting motion, rub it around the edge of the glass and drop into the cocktail. Another method involving the twist to spice up your cocktails would be to light your twist on fire. This process concentrates the oil’s flavors while adding some dramatic flair. With this method, you bend the twist to a curve, holding it between your thumb and forefinger inches above the drink and then light a match about ¼ inch under the zest. Squeeze the zest to bend it into a sharper curve, spraying the citrus oils into the flame and igniting them into tiny sparks. Finally, drop the twist into the drink! Twists are usually found in cocktails like the Old Fashioned, Manhattan, and Sazerac where an additional hint of citrus and element of style are needed. Wheels are usually perched on the side of the glass for a bright visual appeal, yet still brings the flavor as the drinker can squeeze the wheel and drop it in the cocktail. Wedges are a little different in that they aren’t as ornamentally appealing but enable you to really add juice to the cocktail. The varieties of garnishes are endless, allowing you to bring out your own element of flair in style and taste. Familiarize yourself with each one and start making each cocktail you craft unique to your audience’s taste and preferences. No, not the chemically processed maraschino cherries you could buy at any grocery store, but the proper cocktail cherries. These dense, chewy treats at the bottom of the glass is like an alcohol laced dessert, recounting a drink’s flavor. The most familiar cherry garnish are Luxardo cherries, which you can find in drinks like the Manhattan. 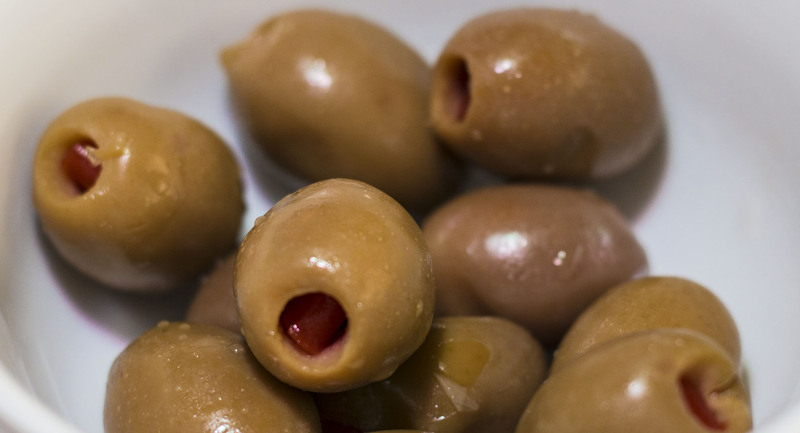 The most famous use for the cocktail olive is in the Gibson, where pickled onion replaces briny olive to add an umami undertone to the classic cocktail. The cocktail onion is a pearl onion pickled in brine with small amounts of turmeric and paprika. 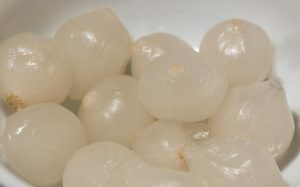 Pearl onions are naturally sweet, which makes them an excellent pairing with many cocktails.